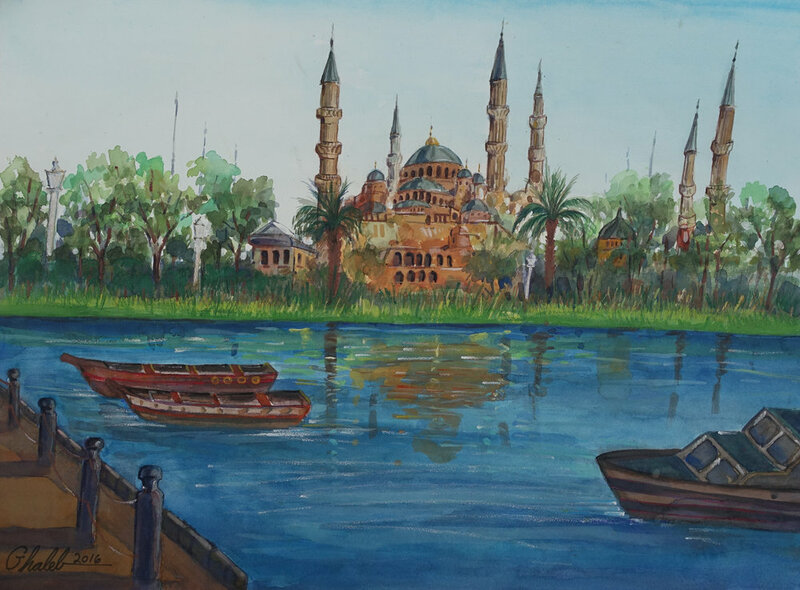 Ghaleb Al-Bihani, Blue Mosque Reflected in a River (made after a terror attack in Istanbul near the Blue Mosque), 2016. Ghaleb Al-Bihani, Large Ship against a Skyline, 2015. Ghaleb Al-Bihani, Houses Reflected in a Bay, 2015. Ghaleb Al-Bihani, Two Boats, 2015.